soccerloco has the best selection of adidas soccer jerseys so you can be prepared for your next game or cheer on your favorite team in a jersey matching theirs. 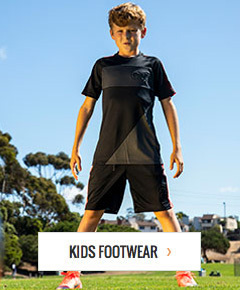 By offering the largest selection at the lowest prices on the web, coupled with our excellent service, we've become the premier online destination for adidas soccer uniforms and gear. All of the adidas uniforms in our store are built to high standards of comfort and durability, each with a stylish look to it and adidas' moisture-wicking climacool material built in to draw sweat away from the skin so it can evaporate more easily. Check out our wide selection of soccer gear to get the best fan and player jerseys from adidas at excellent prices with easy returns and low cost shipping. Shop adidas soccer shirts for Real Madrid, Ac Milan, La Galaxy, Manchester United, and more today!